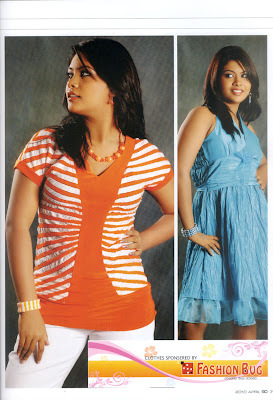 Oshini Liyanage upcoming lankan film actress and model. She spotted on Go magazine 2010 April issue (Fashion Bug). Oshini has performed a sinhala film "Challenges" (Yawwana bambaru api) directed by Udayakantha Warnasuriya, coming soon (she's not the main actress). Oshini Liyanage at Gayathri Dias' beauty salon.